Cut down on stress by finding everything you need in this UltraHyde padfolio! Get down to business on the included 8-1/2" x 11" writing pad. 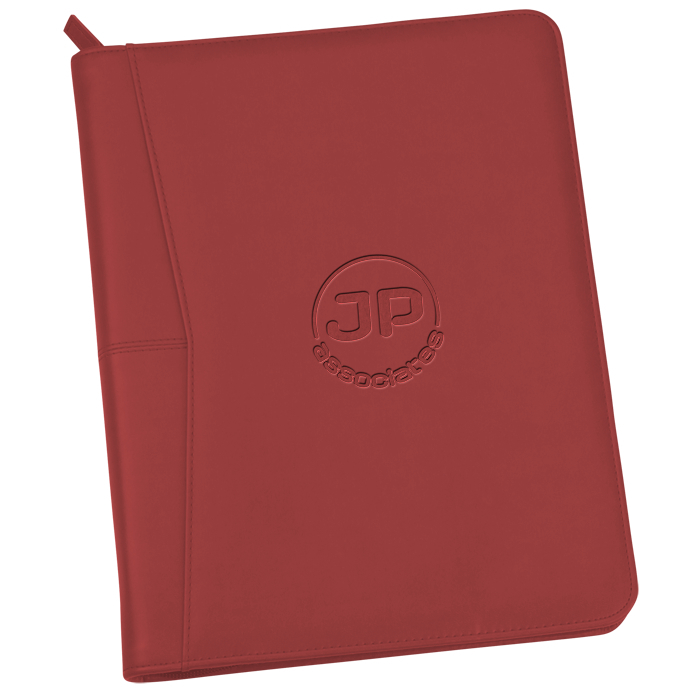 For the junior-sized version of this padfolio, see item #111112-JPedova Jr. Zippered Padfolio.